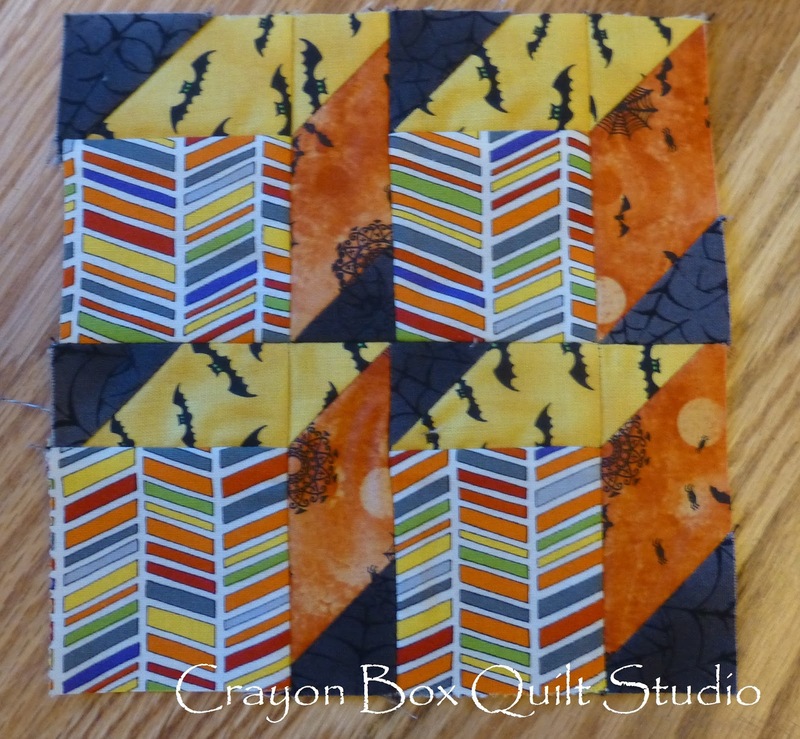 It has been a really long time since I've had the chance to make a few more blocks for my City Sampler. 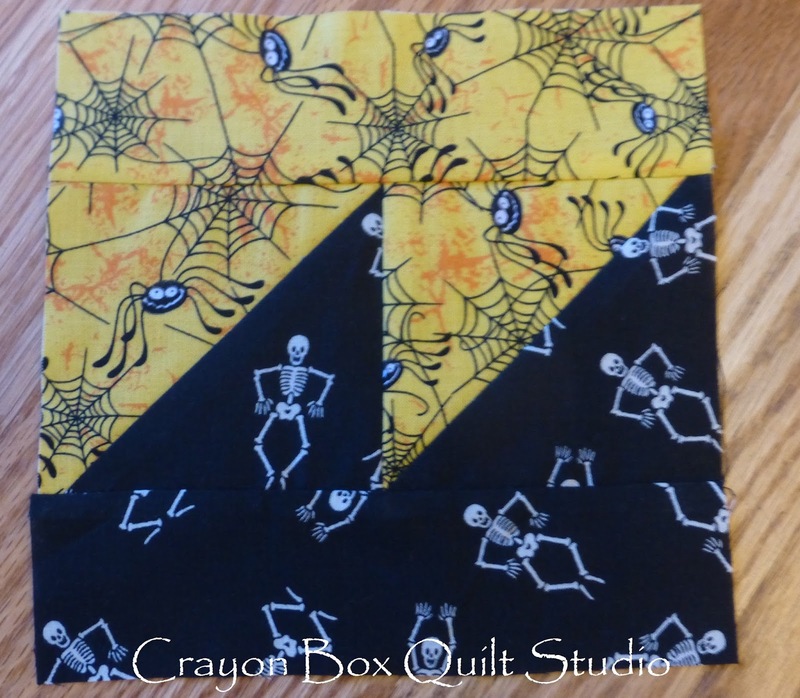 It is a good thing that I didn't set any sort of timeline for myself for getting this quilt done. Maybe by this coming Halloween? Here is my version of block 37. I realized after I completed it that my HST is split in the wrong direction but I've decided to leave it this way. 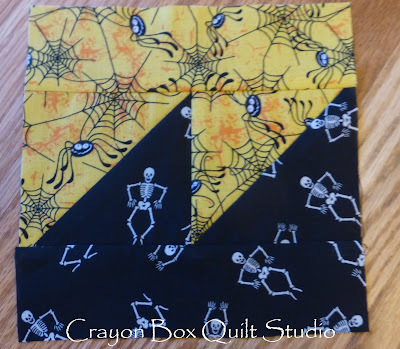 Block #38 is all spiders and skeletons. I used this fun hearse fabric for the center of block #39. 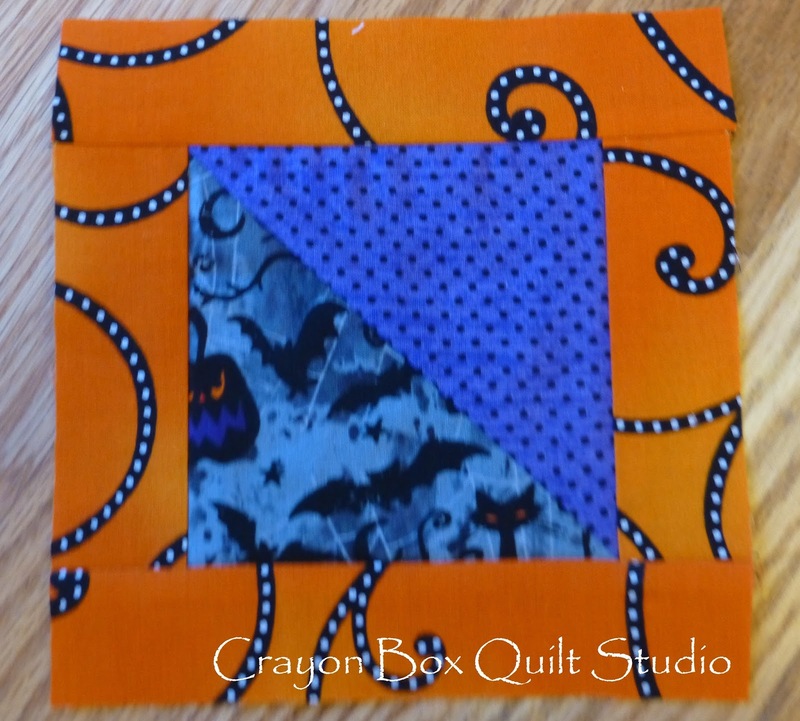 And last for this post, here is my block #40. I've completed 15 blocks out of the 100 so far....I have a long way to go. I really should get back to working on the troop t-shirts but these are so much fun. I think I'll take a look at what the next chapter offers and then decide. 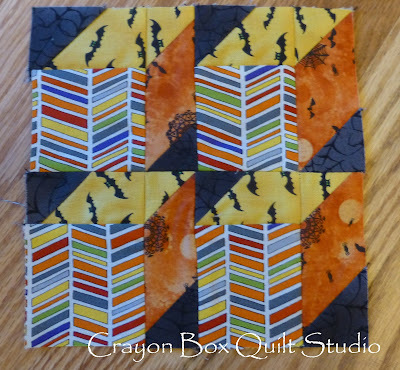 Now it is your turn to show off the progress you've made lately on your City Sampler blocks. Your blocks look great! I have only made 2 blocks. 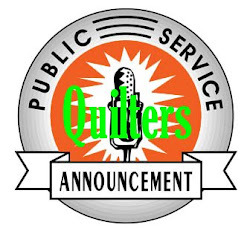 Thanks and I hope you can get some time to make more soon. Your blocks are looking good. I hope you will get it finished by this Halloween. Your blocks are great! 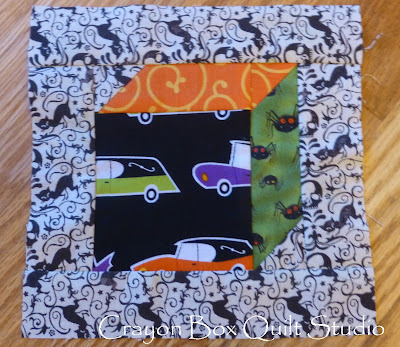 Where did you find that fantastic hearse fabric. 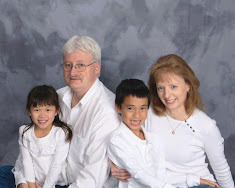 A rather excentric man in the town where I used to live, drove a vintage lime green hearse. 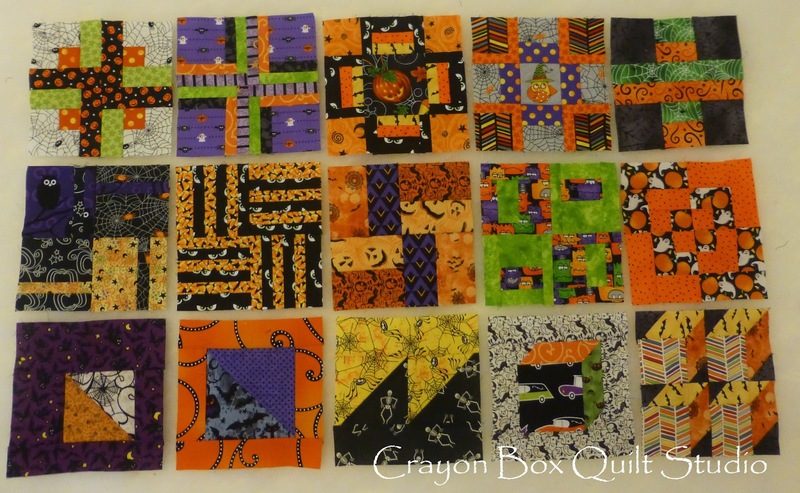 I linked my Januaray post and hopefully I will finish a few blocks tonight and get the Feb post added later this week. I got on a block making role last night and whipped up some to share this month. I can't even decide what fabrics to use! 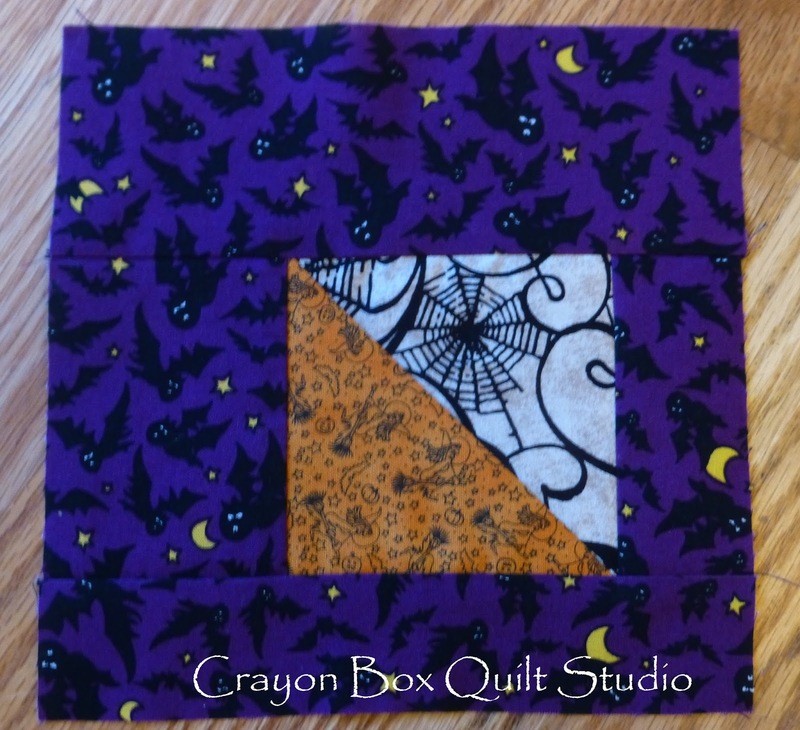 How fun to have chosen to make the sampler blocks in Halloween fabrics! All your blocks look fabulous!